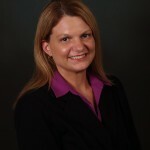 Ms. Wiedemeier is an innovative, resourceful and dedicated Human Resource Professional. She brings a strong focus on human capital management, diversity, and multi-faceted employment solutions. Ms. Wiedemeier brings over 10 years of employment recruiting experience, most recently with national wireless carrier U.S. Cellular, as a Talent Acquisition Recruiter. Ms. Wiedemeier has also worked in agency recruiting with Kelly Services, as a staffing supervisor. Ms. Wiedemeier holds a B.S. Degree in Human Resources Management from Upper Iowa University. Ms. Wiedemeier’s dedication to employee relations and doing the right thing has given her an insightful perspective in the realm of recruiting, as she has a keen sense to fit the right candidate with the right career, providing a mutually beneficial outcome for both the candidate and client.